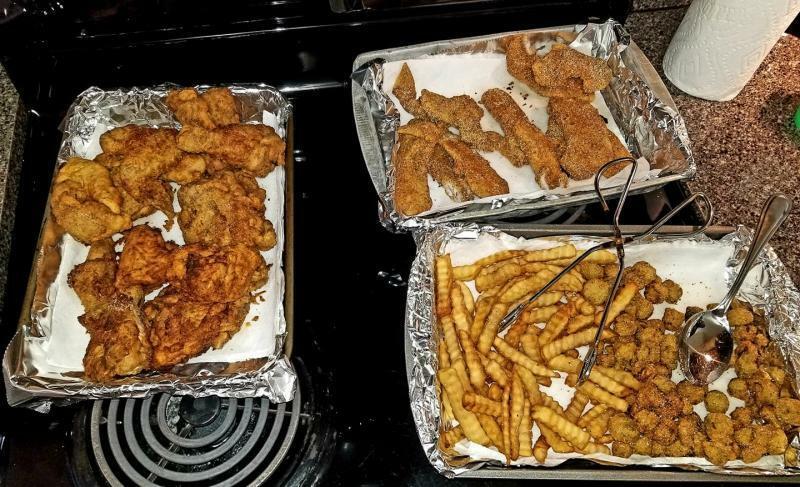 Chicken, Fish, Okra, and Fries. Now that’s what I’m talkin about! A makeover of surf and turf! Chickens aren't totally flightless and not totally land dwellers... Swim n glide? I could use some of this no matter the name! Haha! Swim and Glide I like. Well, she saw the pic and now I'm destined to fry some Fish and Okrie for Lunch -- - maybe some nuke corn for a side ? I'll take a plate of Swim 'n' Glide, too. Our neighbors had chickens, and yup, they fly.